SINGAPORE (April 23, 2013) – GLORY, the world’s premier kickboxing league that is home to the greatest martial arts stand-up fighters on the planet, today announced that it will bring its championship fight series to The United States for the first time ever with a one-night, eight-man, light heavyweight (209 pounds/95 kilograms) tournament at Hammerstein Ballroom at Manhattan Center in New York City on Saturday, June 22. In one of several Superfights also scheduled for the event, heavyweight superstar and former secret service agent Daniel “The Savage Samurai” Ghita (46-9, 35 KOs) of Romania will collide with Muay Thai champion Brice Guidon (28-8, 13 KOs) of France. Tickets for GLORY 9 New York, priced from $48 (plus handling fees), are on sale at all Ticketmaster locations, online at Ticketmaster.com and charge-by-phone at 800-745-3000. Slated for battle in the single-elimination tournament, thus far, are hard-hitting KO artist Brian Collette (19-1, 16 KOs) of Norfolk, Va.; four-time world champion Danyo Ilunga (51-4, 41 KOs) of Germany; Muay Thai sensation Filip Verlinden (40-9-1, 16 KOs) of Belgium; Peter Aerts-protégé Mourad “The Silent Power” Bouzidi (75-20-2, 34 KOs) of Tunisia; world Muay Thai and Karate champion Steve McKinnon (42-5, 29 KOs) of Australia and granite chinned Koichi (26-8-1, 15 KOs) of Japan The remaining two tournament competitors will be announced soon. In other Superfight action, hard-hitting “Bazooka” Joseph Valtellini (8-1, 7 KOs) of Toronto, Ontario Canada will square off with fellow rising star Francois Ambang (9-2, 4 KOs) of Mechanicsville, Va. in a welterweight (170 pounds/77 kilograms) matchup and Phil Nurse protégé Brett Hlavacek (8-1, 3 KOs) of New York, N.Y. will face three-time Muay Thi titlist Paul Marfort (10-5, 4 KOs) of Orlando, Fla. at welterweight. The 27-year-old Valtellini, a high school teacher by day, has become a familiar face in New York, winning six of his pro Muay Thai bouts in The Big Apple, all by way of (T)KO. Valtellini, who also holds a black belt in Tae Kwon Do, made a splash, first start in the GLORY ring in Istanbul, Turkey on April 6, stopping Murat Direkci, a veteran with more than 10 times as many fights under his belt than Valtellini, in the third round of their matchup. Ambang, a 26-year-old native of Cameroon, made a mark in New York City for the first time on March 22, winning the one-night, eight-man development Road To GLORY USA welterweight tournament at Capitale to earn a multi-fight contract with GLORY. Using heavy body attacks, Ambang defeated three consecutive opponents – two by way of TKO – including a first round stoppage of Hlavacek in the tournament’s championship round. The 29-year-old Hlavacek reached the championship round of the tournament after scoring a stunning, 41-second TKO on Ryan Parker in the quarterfinal stage of the eight-man affair and earning a unanimous decision over Eric Utsch in the semifinal stage. 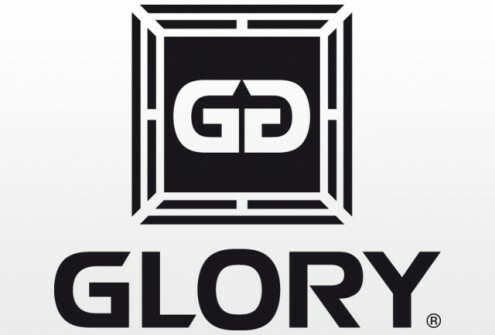 A draw to determine the GLORY 9 New York light heavyweight tournament’s quarterfinal stage matchups will be held on a date to be announced soon. Doors at Hammerstein Ballroom will open at 5 p.m. EST and the first preliminary bout will begin at 6 p.m. This entry was posted in Events, Features, News & Results and tagged Glory, hammerstein ballroom, kickboxing, main featured, Most Featured, Muay Thai, New York City. Bookmark the permalink.